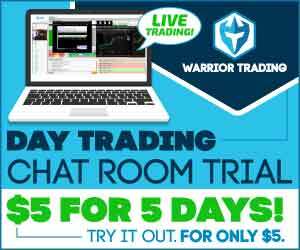 Suretrader is located in the Bahamas and allows day trading with 6x margin. 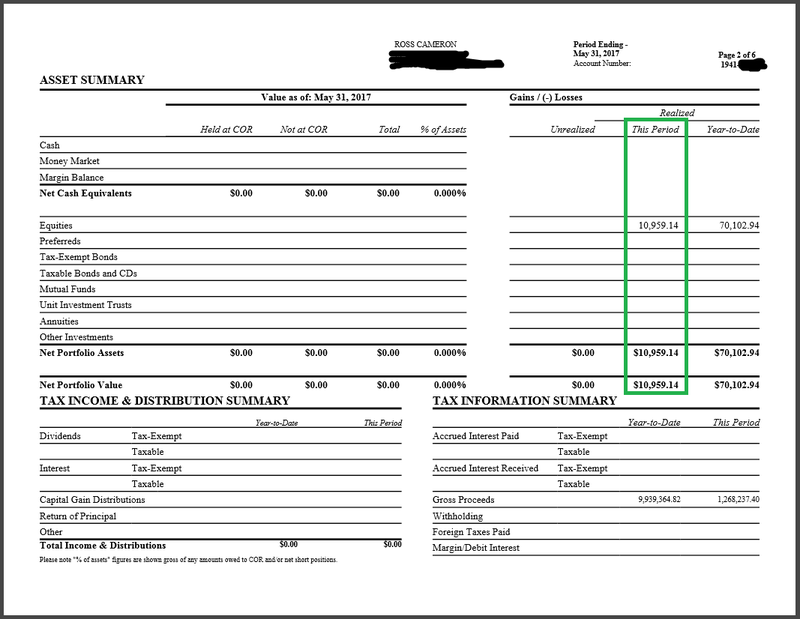 The min deposit to open an account is $500. 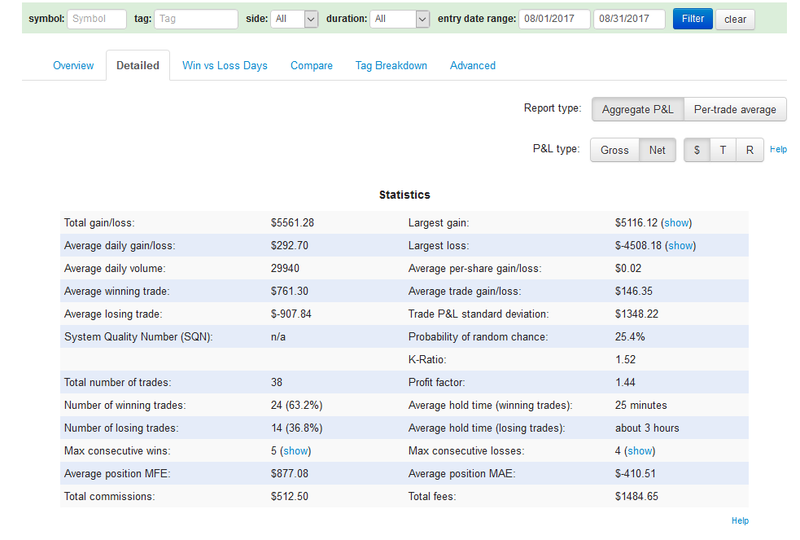 I started with $583.15. 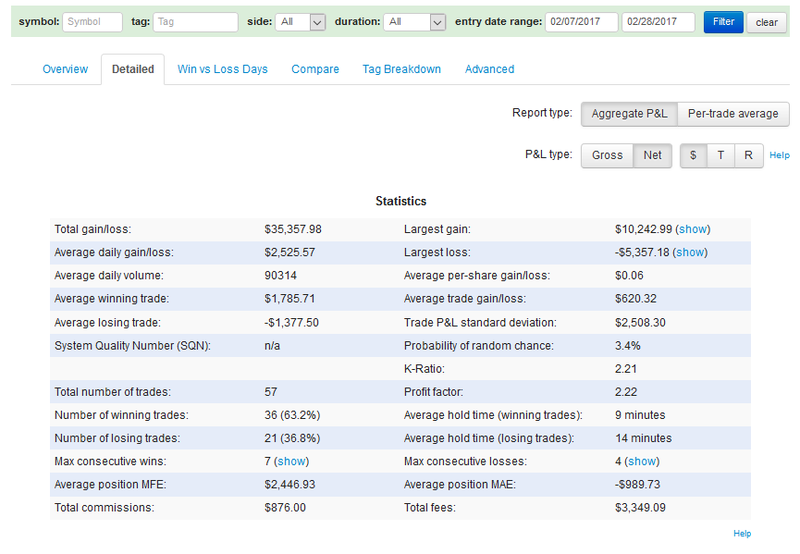 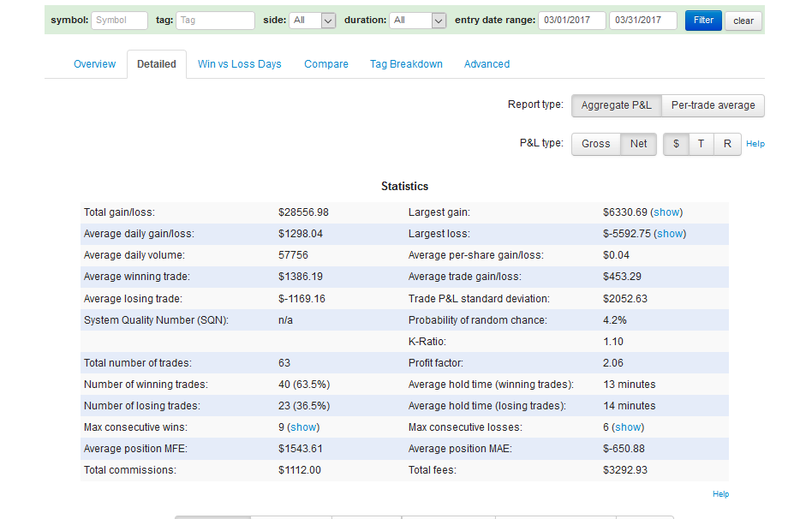 From $583.15 to $42,094.41 in 24 Trading Days. 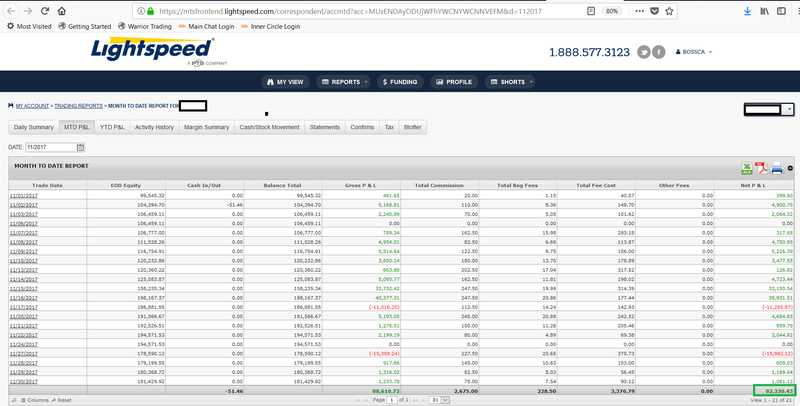 Note: I closed my Speedtrader account on May 11th and began trading on Lightspeed on May 16th, missing 3 days of trading. 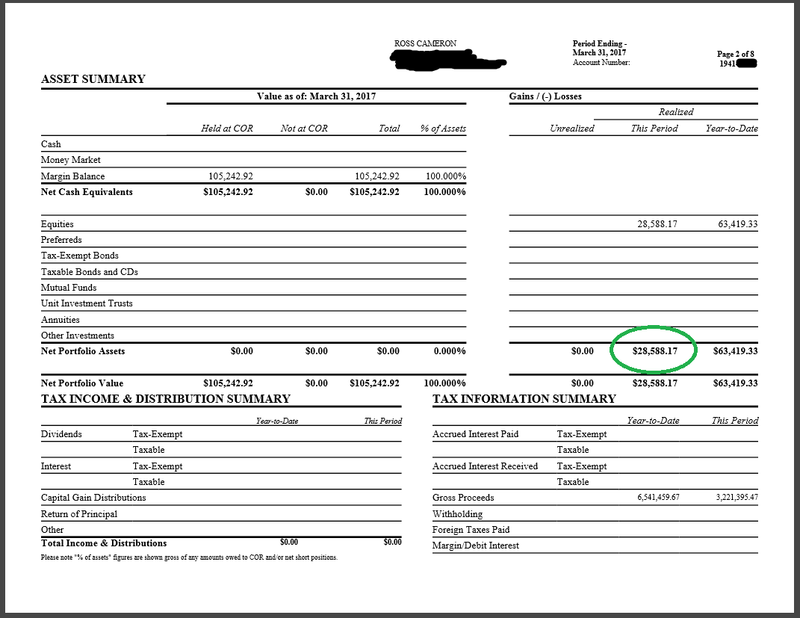 Gross profit before platform, wiring fees and TAF Fees/Credits: $8,360.93. 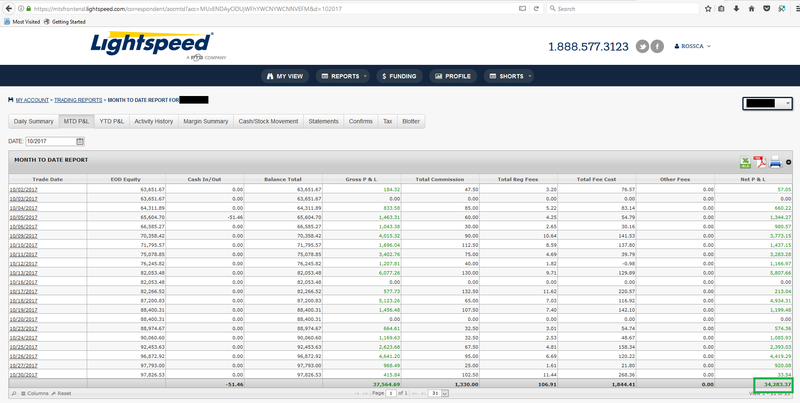 Gross profit before platform, wiring fees and TAF Fees/Credits: $6,391.52. Net Profit after fees: $6,370.55. 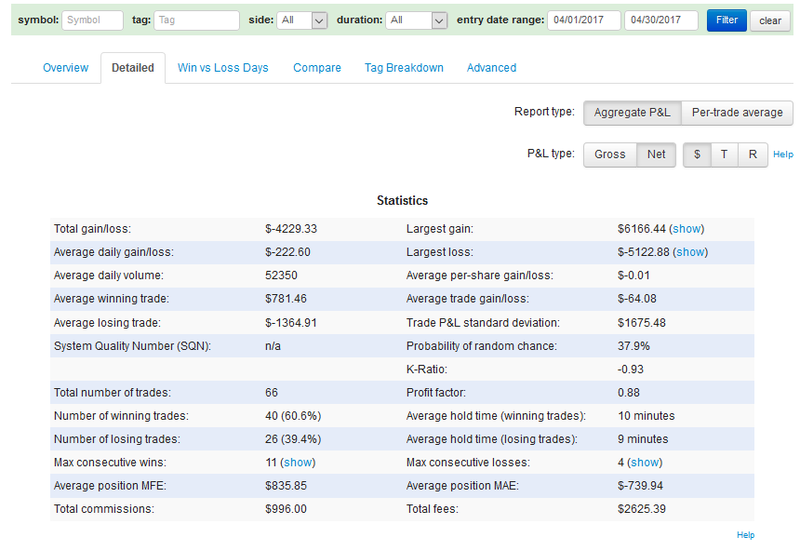 Net Profit after fees: $5,561.28. 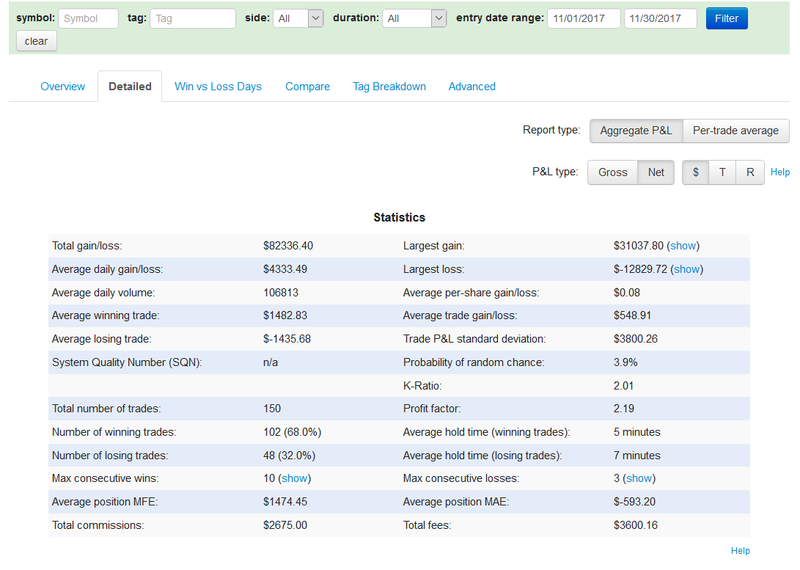 Note: For some reason TraderVue isn’t showing my gains from Thursday 8/31/17, it may be because I held a swing trade through August and into September. 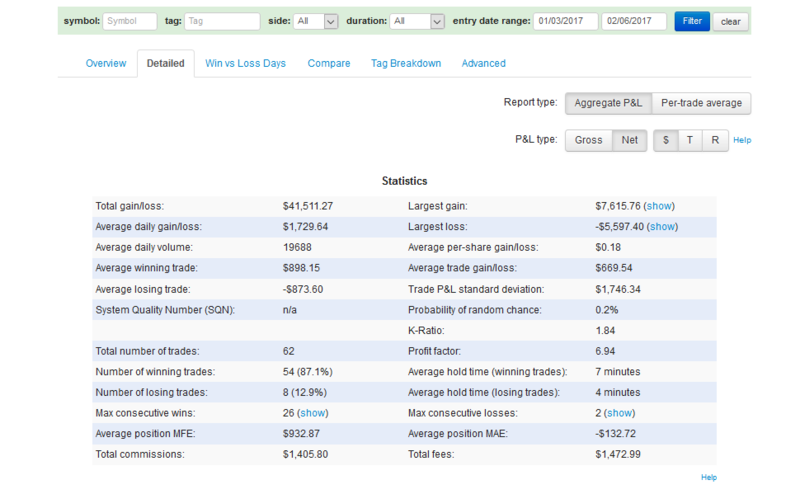 The gains have been applied to 9/1/17 and will be reflected in the Sept P/L. 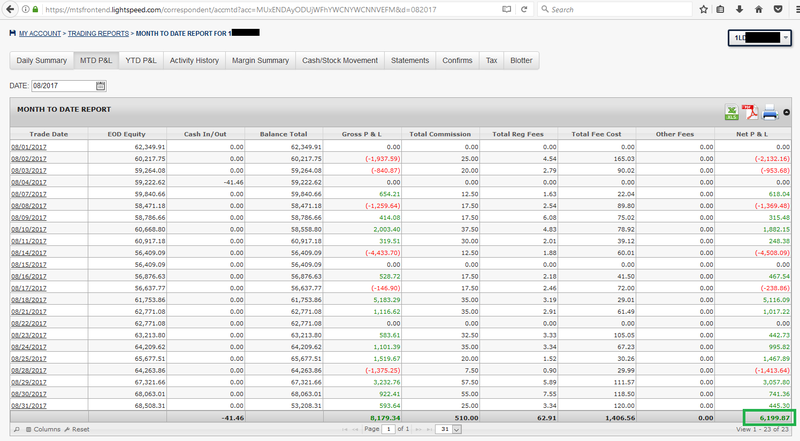 Gross loss before platform, wiring fees and TAF Fees/Credits: -$4,862.23. 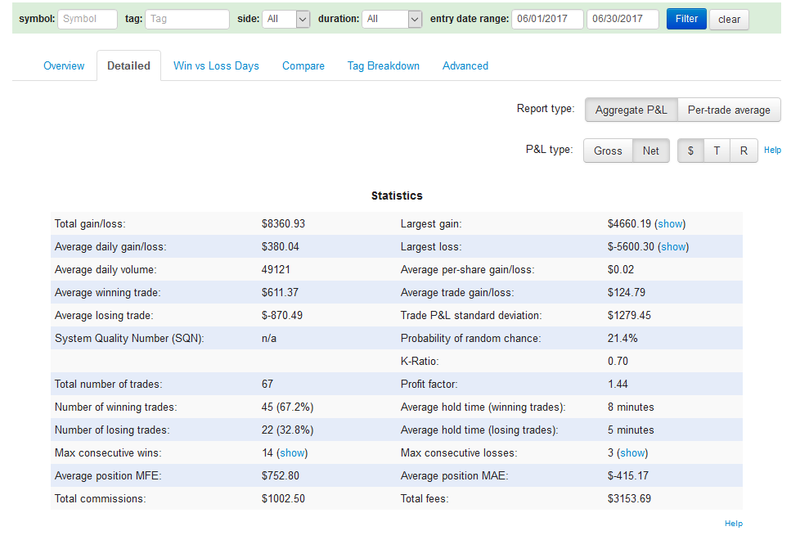 Net Loss after fees: -$4,221.37. 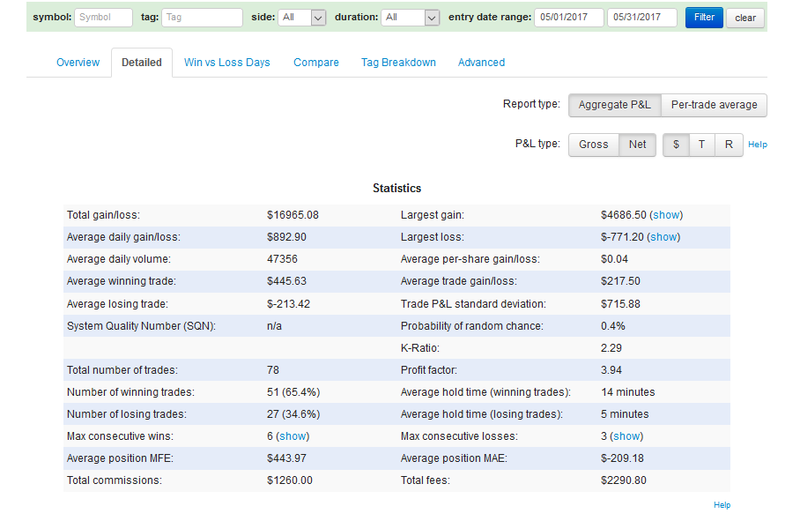 Note: For some reason TraderVue didn’t showing my gains from Thursday 8/31/17, those were credited on my Sept statement. 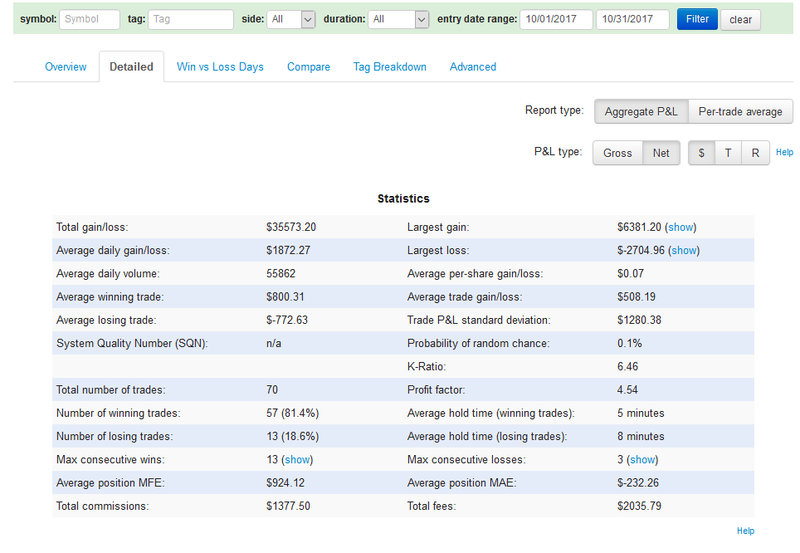 I believe this was caused by holding a swing trade from Aug to Sept. 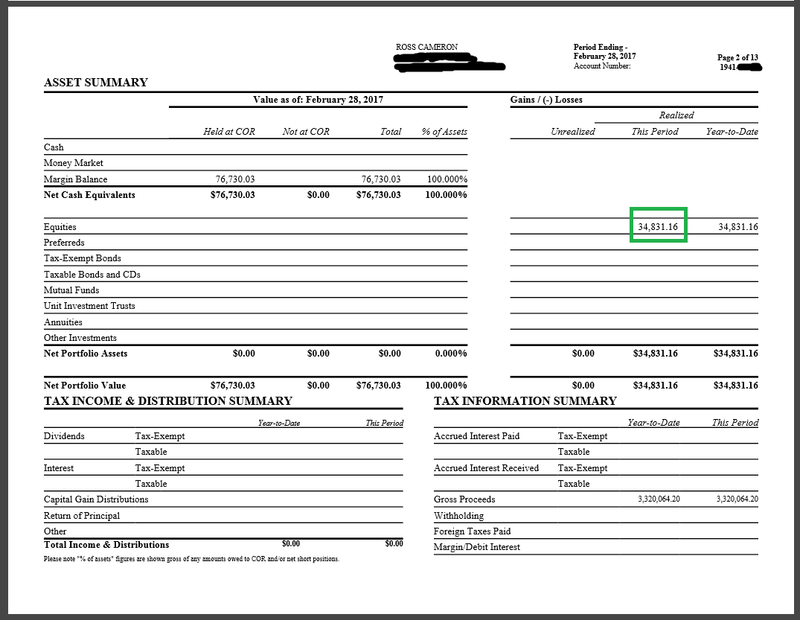 Gross profit before platform, wiring fees and TAF Fees/Credits: $35,573.20. 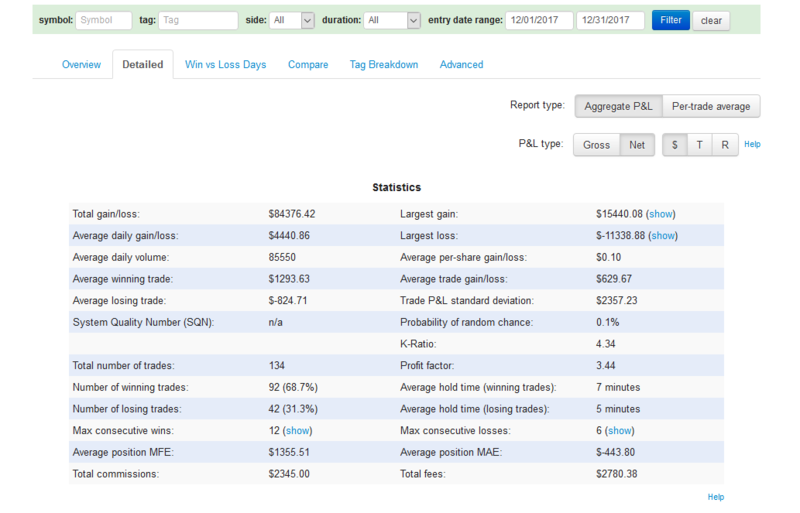 Net profit after fees: $34,283.37. 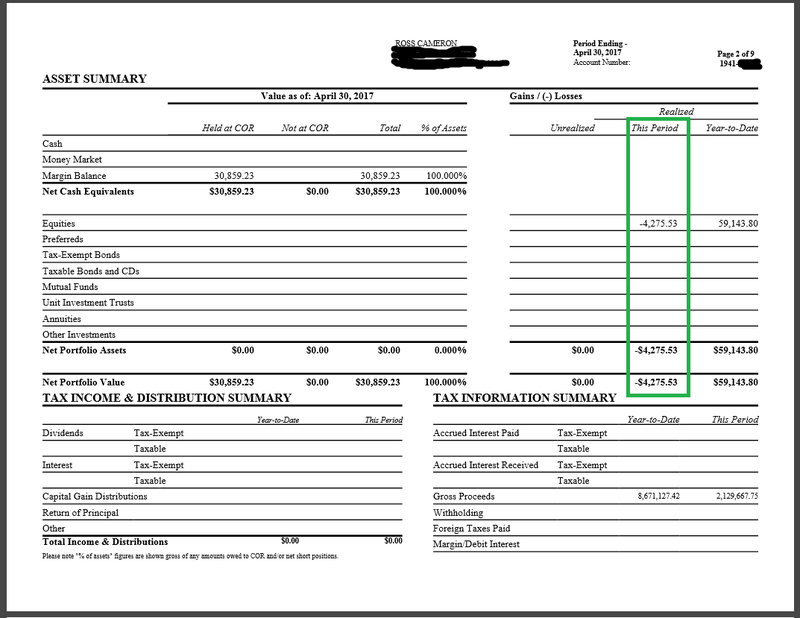 Gross profit before platform, wiring fees and TAF Fees/Credits: $84,376.42. 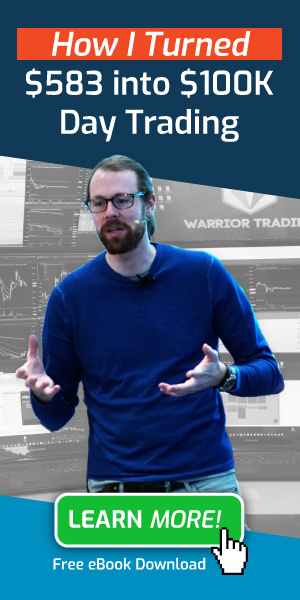 *Note: TraderVue reports will always be slightly higher than Broker Statements because they do not account for wiring fees, platform fees, or TAF fees charged by the broker on the monthly basis.